There are also various adjustments from internal testing and user reports. 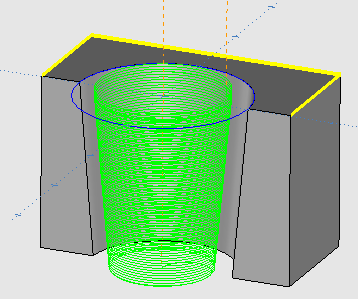 The function now supports a ball mill or a bull mill. 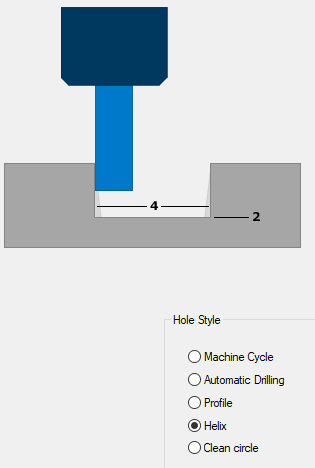 This function is primarily for counterbore where there is a flat bottom using an end mill. When using these tools for a through hole rather than a counter-bore the tip radius will need to be added to the depth to remove the tip radius at the bottom of the through hole. This OneCNCXR7 Version Update 52.03 is now available in the OneCNC update server.